Kitchen and Residential Design: Out, out damned termites! I came home Saturday only to find a bathtub full of termites. I don't know what the attraction of the tub was, but there they were in a fornicating mass. I've suspected that they were back for about the previous year but a combination of denial and avoidance had me waiting for solid proof. There were about a hundred examples of that solid proof in the tub when I got home. 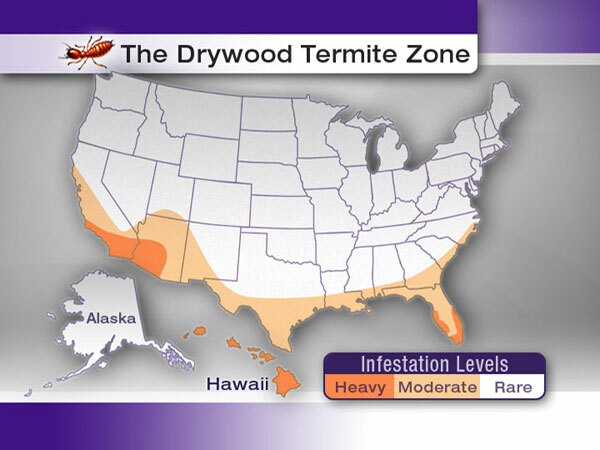 Florida and most of the extreme southeastern US are in the hot seat when it comes to drywood termites. The species prevalent here is Incisitermes snyderi. I looked it up and ID-d the SOBs in the tub Saturday. Sure enough, they were I. snyderi, the same species as my last experience with them seven years ago. Incisitermes snyderi are called drywood termites because they never touch the ground. Most termites are subterranean. That means they live in colonies below ground and make mud tubes up to wood they eat. Drywood termites actually live in the wood they're eating. Termites can be found just about everywhere on earth but they thrive particularly in tropical and near-tropical climates. I live in a wooden building in a neighborhood composed of other wooden buildings exclusively. Building with concrete block didn't catch on in Florida until the boom that followed the Second World War. As a result, dealing with termites goes hand in hand with living in anything built prior to 1945 or so. Termites swarm in the early to mid summer here. 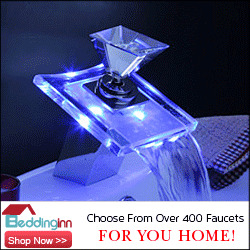 When a colony reaches maturity, it starts to produce fertile males and females. These fertile termites are also winged. It's these winged termites, called alates, that swarm. 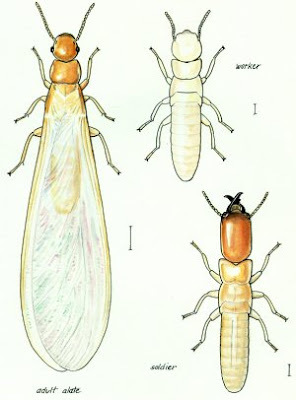 Alates are the only termites that ever leave the colony and they take wing to start new colonies of their own. California and the west have their share of termite headaches and despite the different species involved, they follow the same life cycle and wreak the same havoc. Because I live in an old wooden house in an old wooden neighborhood, the termites are never really gone. Every time there's a swarm, each of us is at the same risk of getting them again. I think of them as a cold that a group of people keep passing around. So now what? Well, the fix is to be tented. When I first moved to Florida, I remember seeing fumigation tents and thinking that having to live through that would be humiliating. I don't know what I was thinking specifically, but I figured that those tents were a testament to a person's slovenly housekeeping, among other things. Nothing could be further from the truth though. So in my very near future will be the three-day inconvenience of a tent fumigation. 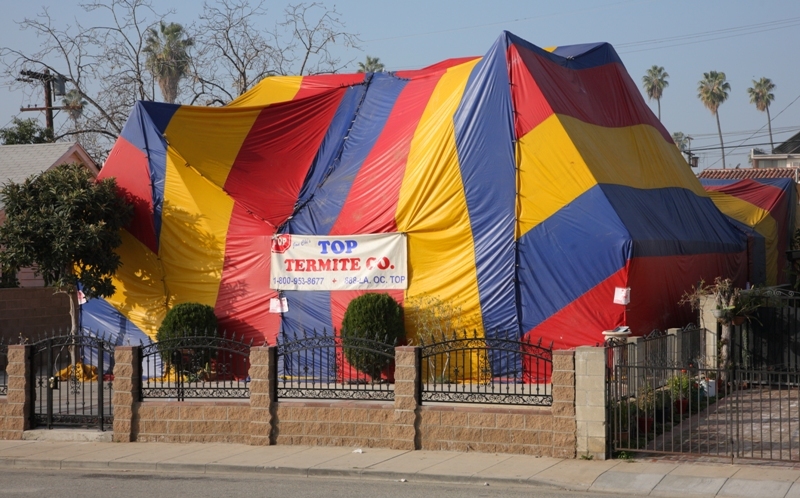 A tent fumigation is the only way to kill drywood termites. Left to their own devices, they will destroy a home though it will take them a while. Tent fumigation involves wrapping a home in a plastic tarp and then pumping in sulfuryl fluoride (SO2F2) and letting the gas do its thing. SO2F2 is the ideal fumigant, it's deadly but inert. That means it doesn't bond with anything or leave a residue after the fumigation's complete. 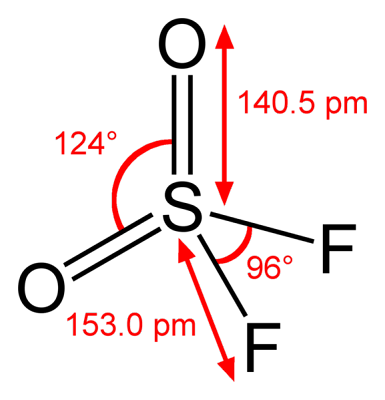 Ultimately, the chemical bonds in it break and it turns back into the fluorine and sulfur dioxide it began as. 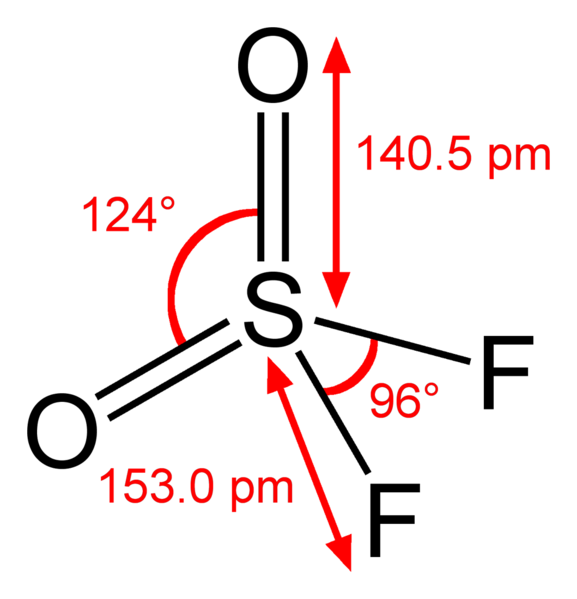 Thou art Fluoine and sulfur dioxide and to fluorine and sulfur dioxide thou shalt return. Because SO2F2 leaves no residue, it leaves behind no residual protection either. If I'm still sitting in this same living room in six or seven years, I'll get to go through this all over again. Paraphrasing Shakespeare is one of my coping mechanisms, but in this case it won't help. I can pull a Lady MacBeth all I want. Out, out damned termites! But at the end of the day, I need SO2F2. That's a bummer, Paul. Good thing you're prepared to take action and not denying the seriousness of the little creepy crawlers. Awww...what a pain. We had an ant invasion as soon as the weather started to warm up. Gene forced me to call an exterminator. I didn't want to, but they were pretty bad, admittedly. Odorous house ants. Now we have mice. Again. I caught two the last two nights. Nick: You're in the termite zone too, aren't you? Further denial is not an option. I've seen houses so badly infested that the termites ate the paper on the drywall. Drywall that's in place. That means the wee beasties ate the layer between the paint on the wall and the gypsum. The paint was hanging slack on the wall with nothing to adhere to. Creepy stuff. Melody: Odorous house ants? I have never heard of them. Do they stink as bad as the name suggests? Good luck with the mouse thing ugh. I'll take termites over house mice. Termites don't pee in my food or spread hanta virus as if it were Halloween candy. We are in a termite zone but we battle the Formosa termite here. I had to ask Judson about it, but he said that they were transferred here by the lumber and horticulture industries. Cities and counties in our area that are on the interstate system are particularly at risk. I've seen their handiwork in person... the scary part is that if you don't know the signs, your house can be falling in before you realize it. They're tiny little ants much like the sidewalk ants. They're benign and I wouldn't mind a few of them, but one morning I found hundreds of them on the kitchen counter. Supposedly they only stink when you crush them. I caught 12 mice over the winter and thought we'd gotten rid of them but I guess not. I wouldn't mind them either if they didn't pee and poop everywhere, but that's just foul and it irks me to no end when I open a drawer and find mouse turds by the dozen. Ouch Nick, the Formosas are bad news. And Judson's right, they came into the US through the Port of New Orleans. They are the dominant type of termite in Louisiana and they are easily the most damaging species int he US. Yuck. Melody: It kills me when the soft headed out there prattle on about mice and how cute they are. They then go on to tout their "humane" methods of capture and release. I want to shout "Those filthy things leave urine trails where ever they go! That's how they navigate you fool!" What am I saying, want to shout? I usually do shout that. Oh man, that is definitely not something you want to return home to. Sorry to hear you have to be tented. Can you request a snappy fabric design, at least, to jazz up the neighborhood? hey now, mice are totally cute. Unfortunately they're also completely VILE creatures. I raised mice for a while to feed to my snakes and found myself completely disgusted by them. They EAT their own babies! omg..
No termites? Really? Were it not for the wet cold I'd be so there.